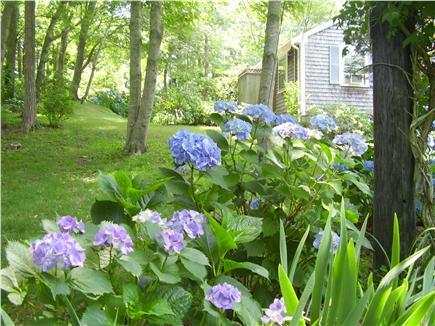 Located on a private, one acre, landscaped lot in Orleans, this renovated ranch is within walking distance of town (stores, public library, Playhouse Theatre, semi-professional ball park), cove (town landing for boats) and bike trails - and within equal distance of Nauset (oceanside) or Skaket (bayside) beaches. A 2.5 miles distance, a 8 minutes drive. A wonderful, bright home with a large deck, an outdoor shower, and all amenities including AC units, Cable TV, Internet/WiFi, dishwasher, washer/dryer,beach chairs, games and a BBQ grill. 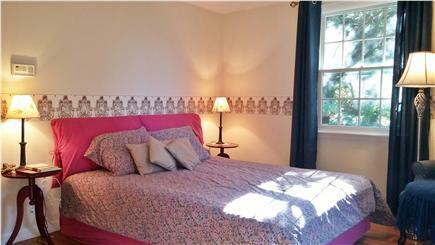 We furnish quality information before you rent and other information tips you will find once at the house. There are 3 bedrooms, 1 bath, 1 queen, 3 twins, and 1 double futon, as well as a large and clean basement for laundry and for handy storage (bikes, beach chairs, games, etc.). 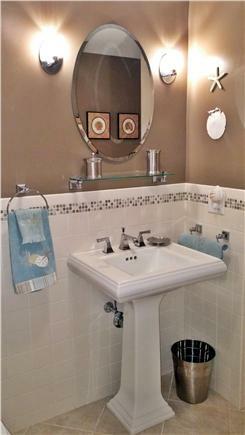 A completely remodeled bathroom. We have a fully functioning 60 notes Yamaha keyboard, too. To keep our price affordable for families, we ask tenants to BRING THEIR OWN linens (bed sheets & towels) or to deal directly with local companies that will deliver and pick up linens. No pets and no smoking please. $1500 per week in season. Last minute update: 2016 rental season is complete but we take 2017 reservations already! Our first stay at Alain & Geraldine's house in Orleans. It was fantastic!! Very clean & in a perfect location. Love that everything is on one floor - my dad is 86 and it was perfect for him. The back deck is great for relaxing after a day at the beach. The house has every amenity you could think of. Hope to rent again next year!! The house was clean and spacious enough for the six of us. Two beautiful beaches close by. Proximity to all of the services (grocery stores, shopping, etc). 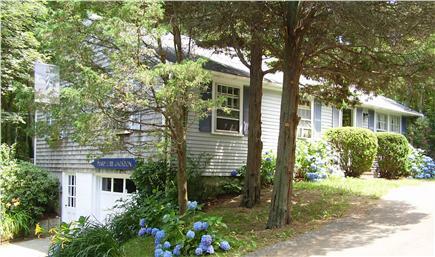 We highly recommend this house for your vacation in Cape Cod. We have vacationed here for the last 4 years and are signed up for the 5th. 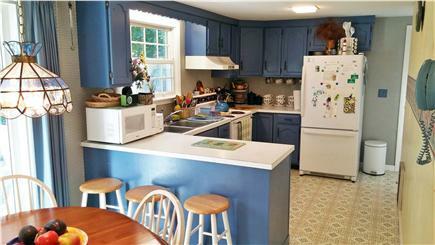 It's a lovely and perfectly maintained home situated in the heart of Orleans - great proximity to Nauset Beach, Pilgrim Lake, Baker's Pond and Main Street with shops and restaurants. Great kitchen and outdoor deck for relaxing evenings.The outdoor shower is a nice bonus too. 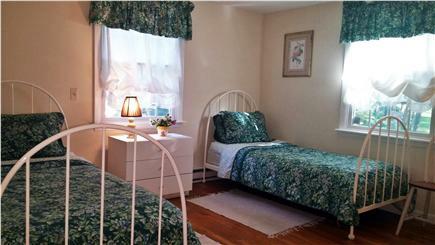 The owners are very accessible and extremely responsive. We are looking forward to more happy years here. "Our stay in Orleans last August at the Cape Cod home of Alain and Geraldine Gagnon was the highlight of our summer vacation. 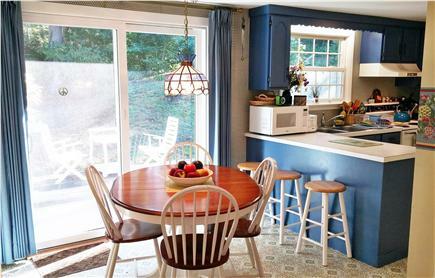 The house was comfortable, extremely clean and well-equipped with a great deal of privacy and an excellent location, almost exactly 2 miles between both the ocean and baysides of Orleans and close to local shops. 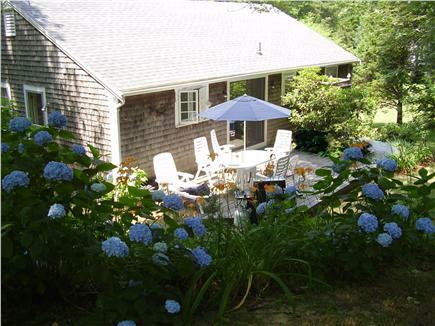 While we spent most of our time at the beaches, the house was a short drive from many fabulous tourist destinations in the Cape Cod area. Our girls loved the whale watching tour in Provincetown, the tidal pools of the bayside (Skaket beach), the big waves of the Atlantic (Nauset beach) as well as many other more informal attractions like seal-watching at the fishing docks in Chatham. All in all, it was a great seaside vacation for our family. Alain and Geraldine were attentive hosts and very organized in terms of the rental arrangement. We look forward to visiting Orleans again and would definitely return to Tonset Road to, as our girls call it, our "cottage near the beach"!" "We're from the Detroit area, but as a child I spent a few summers on Cape Cod as my father was originally from Boston. I have been bringing my children to The Cape every summer to experience the same wonderful scenery and beauty I did at their age. A few years ago, I finally happened upon this wonderful gem, in one of my favorite towns. 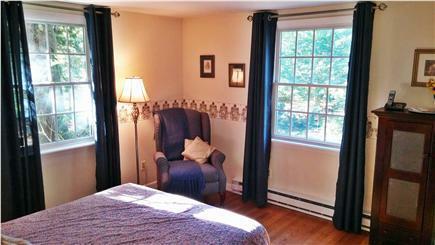 This cottage is in such a lovely and tranquil spot, steps away from the quaint town of Orleans. I so enjoy having such a large piece of property on which to roam, set far back from the road. With two young children, those are both highly important. Also important are having a nice big kitchen fully stocked with dishes and pans, three bedrooms, large updated bath and a washer and dryer on premises. The large outdoor patio with grill is a great place to cookout or bring home some steamed lobsters to enjoy! 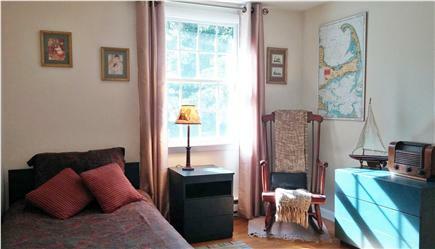 Wifi and a large flat screen TV, along with books and board games are additional perks in this very comfortable and roomy cottage so even if the rain moves in, it's no problem! 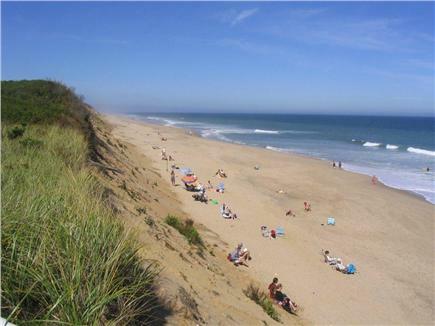 It's located only a short drive from my favorite beach, Skaket. Plenty of great shops, grocery stores, restaurants and ice cream shops are also nearby. Owners Geraldine and Alain are absolutely professional, helpful and friendly and they even called during our stay to make sure we felt welcomed! My son calls it "our cottage", and we plan to be back every year!" "We liked that house very much for it was close to everything. We found the one acre land intimate and especially convenient because our kids could play safely on it. We also appreciated Alain's and Geraldine's eagerness to give us quality information as well as tips and hints to maximize our stay. We have repeated the experience 4 times in 5 years (2006,2007, 2009, 2010). 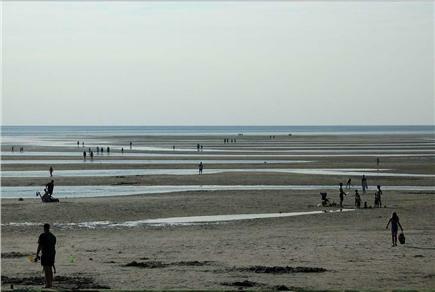 Our kids have great memories of their Cape Cod holidays." A brief note of appreciation. My family and I thoroughly enjoyed our stay in your wonderful home. It was very comfortable and met all of our expectations. Your communications leading up to our stay were very helpful in preventing any problems that might have befallen us.